Generous giving is part of the culture of Eliot Chapel. Eliot members and friends are generous in our outreach efforts, giving time, talent and treasure to individuals and groups in need. 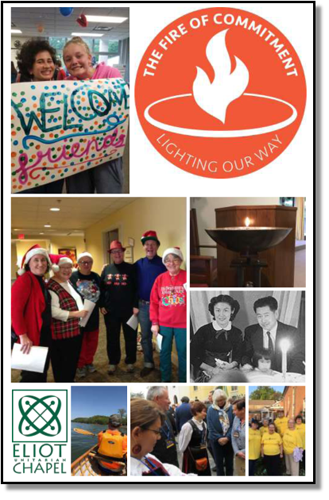 Each month a different organization benefits from our shared Sunday offering. Each year we are able to give tens of thousands of dollars to national and local organizations to help the homeless, support disaster relief efforts, promote human rights and more. Click here to print a current pledge card. Complete the card and mail or bring it to the church office. Contact Administrator Camille Novak at 314-821-0911 or admin@eliotchapel.org to discuss your pledge. If you would like to set up automatic payments, you can do so through AccessEUC. Look for the link and directions on the home page of this site. Please note that you still need to turn in a pledge card with your pledge amount so we can include it in our total! Do you have questions about pledging? Click on the image to the right to learn more or contact us to speak to someone who can help. Do you love our church and want to make sure it continues to thrive into the future? St. Louis needs a strong liberal religious voice, and a loving and inclusive community like ours for generations to come. 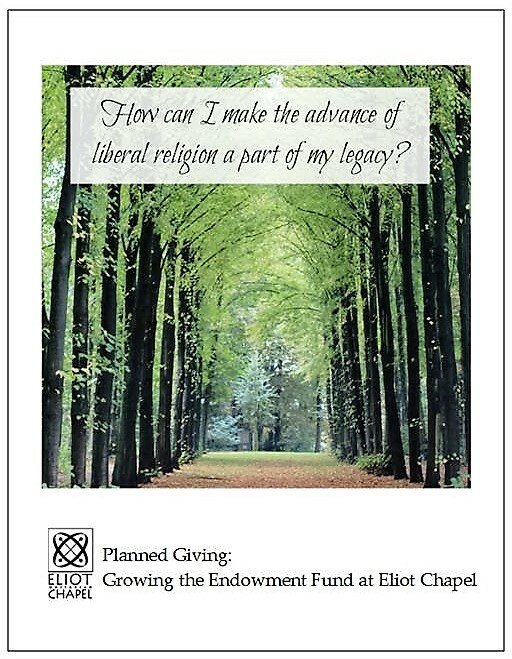 Please consider designating Eliot Chapel as a beneficiary in your estate. 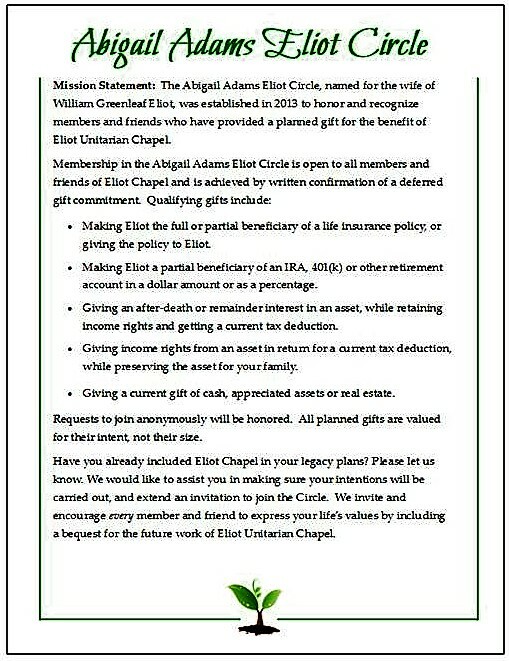 You can learn about the Abigail Adams Eliot Giving Circle and fill out a confidential form. You may have been thinking about doing this for some time - so why not now? We are grateful for your generous support. Click on the links below to learn more Planned Giving and the Abigail Adams Eliot Circle.